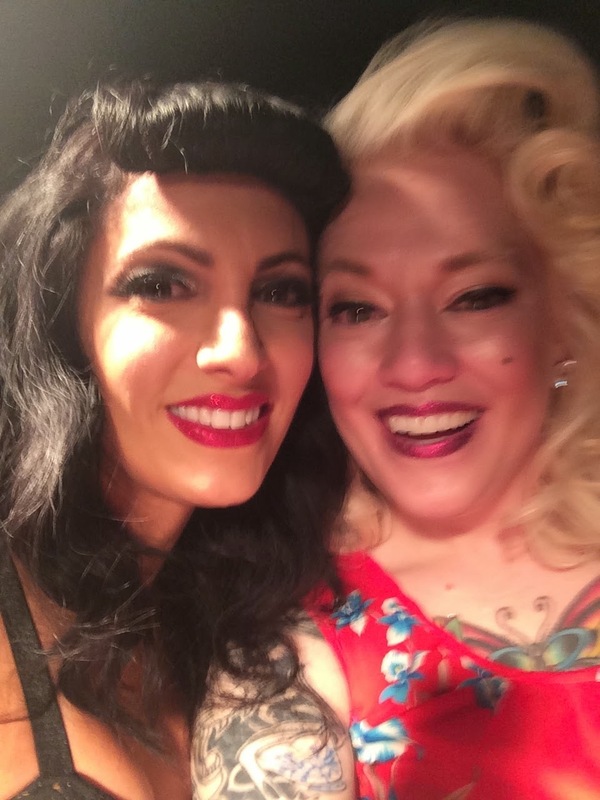 My best gal pal, Devyn, and I had talked about going to Viva Las Vegas Rockabilly Weekend 2014 for months. We had been told over and over that is was too expensive to go to, that nobody would notice us, and that basically it was not worth the time or money to go. Well, I'm a see-for-myself kind of gal. Devyn and I began plotting and planning to see how we could get to Vegas, on a budget, and still have the best time. Needless to say, we did. 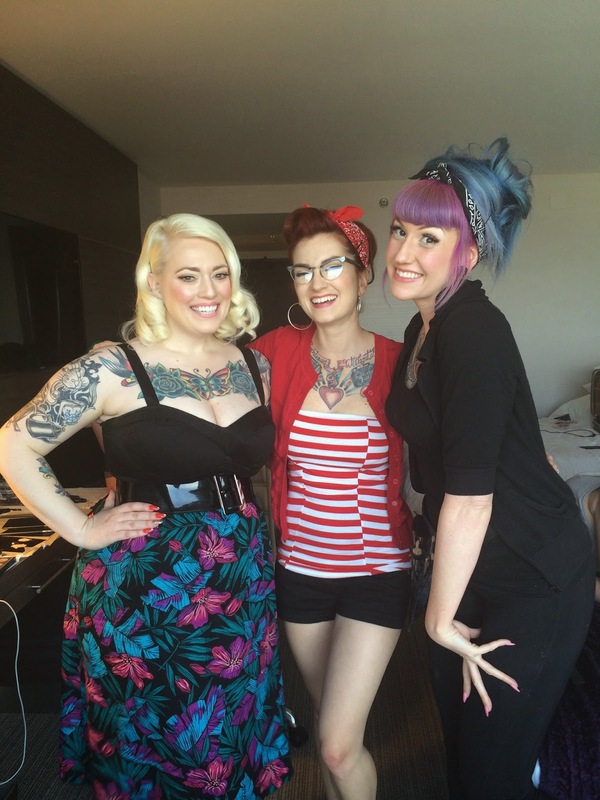 We saw, we went, we didn't overspend, and we had a blast. We are already planning for next year! 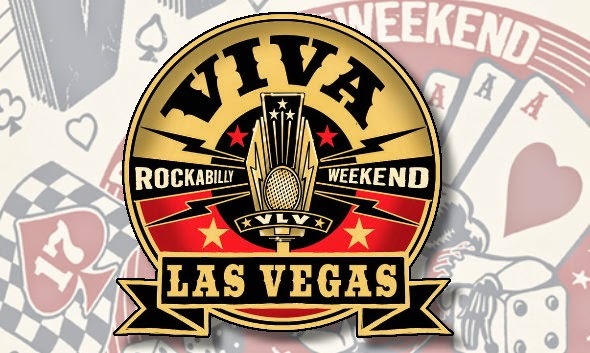 If you are not familiar with Viva, it is an annual gathering of people that have a love to vintage/retro culture, cars, and most definitely rockabilly music. There are over 100 bands playing at any given time, burlesque shows and competitions, pinup pageants, a huge car show, and vendor booths. It is one of the most fun times I have ever had. Here are some of my tips to stay on budget, but still have the best time you can! Book your flight (if you are flying) on a Tuesday. Fares are cheaper when you book your flight on a tuesday morning. Also when planning to go make sure to get to Vegas the Wednesday before the "weekend" actually starts. There are a lot of "pre" events that happen wednesday night, and you will miss out on them. Figure out your hotel plans and book it now! Do not feel obligated to stay at the Orleans. In fact most people we met was staying off site, and really, it was nice to get to leave for a bit, and just zone out for a moment. There are a lot of deals in vegas, and staying where a deal is, well is a good idea. Devyn's family has a time share, 3 minutes down the street from the Orleans, and it was soooo worth staying there. We did stay at the Orleans two nights, and I booked those rooms through Hotels.com, which is a great package option to look into. Rent a car. This will save you so much money. Cabs are NOT cheap and if you have a car, you have the ability to go wherever you want. If this is something that you want to leave out of your budget, there are shuttles that run all the time to take you around, just know that most of them stop running around midnight. Valet is free in vegas. Everywhere we went, free valet. You do have to tip, but in comparison to cab fare, valet is the route to go. When you get yourselves into town, and if you have a car, get yourself to a grocery store. Buy a big case of water (I promise you will burn through it fast) and portable snacks. The climate change made Devyn and I so thirsty, all the time. If you have a big bottle of water with you where ever you are, you won't spend $5 on a drink that isn't necessary. Also, there is so much going on, all the time, it is easy to skip meals. If you have a snack with you, you also will make healthier food choices. Do not feel obligated to eat in the casino or at the buffets. There are plenty of dining choices, that will be more cost effective if you eat outside of the Orleans. Do NOT carry all your cash with you at all times. We heard of a purse thief going around and a lot of women lost all their cash, along with the handbags. Be smart about what you take with you and where you leave it sitting. Be watching your favorite vendors social media sites before the event. A lot of companies offer VIP tickets to events, special coupons, and free meet and greats. These events were fun and allowed us to meet a lot of people that we look up to!